HomeStrategyPoker GuideWho Are The Biggest UK Poker Winners? Who Are The Biggest UK Poker Winners? The United Kingdom is blessed with a plethora of extremely talented poker players, some of which are ranked amongst the very best in the world. Many Brits have experienced huge online wins, like Team PokerStars member Alex “Kanu7” Millar, who has secured millions by playing no-limit Hold’em, but for others the glory and prestige lies on the live tournament felts. Sam Trickett is by far the biggest UK poker winner having amassed more than $20 million in live tournament winnings, a figure helped significantly by his second place finish in the $1 million buy-in Big One For One Drop that netted Trickett more than $10 million! 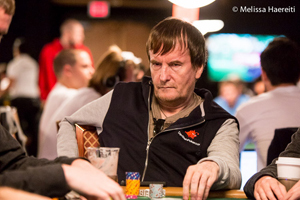 The often controversial Dave “Devilfish” Ulliott has over $6.2 million in winnings, most of which derived from his biggest tournament win in 2003 when he defeated Phil Ivey at the WPT. The 60-year-old is a mainstay of many televised poker events and has also won a coveted WSOP bracelet. With $4m in tournament winnings, Chris Moorman is one of the most revered poker players on the circuit. Career highlights have included wins at the LA Poker Classic/WPT Event season 12 for $1m and he also nabbed $1.4m for a 2nd place finished at the 2011 WSOPE. Jake Cody is another Team PokerStars Pro who has forged himself a successful career since he burst on the scene with major wins at the EPT Deaville and WPT London in 2010. Since then, Cody has gone from strength to strength and earned over $3.7m to date. London born Neil Channing makes the UK’s biggest poker winners list having earned $3.4 million during his career. “Bad Beat” as he is known on the circuit, won a cool $1.2m for winning the Irish Poker Open in 2008, the finest moment of his professional life yet. Stephen Chidwick will be a familiar face to most poker fans. The British-born star, who now resides in Mexico, has collated $2.14 in earnings since he shook the poker world with his maiden victory at the PokerStars Caribbean Adventure in 2008. Astrophysics graduate Liv Boeree might be one of the last people you expect to find on a list of the highest UK poker winners. However, the 29-year-old has won $2.46 million during her career and has cashed 12 times at the WSOP. 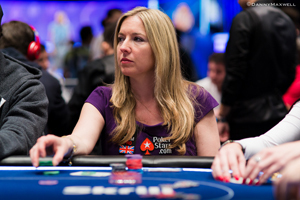 Victoria Coren-Mitchell was the first player to win two EPT Main Events. Double European Poker Tour champion Victoria Coren Mitchell was the first woman to win a EPT event. Since that victory in 2006 at the EPT London, she has followed it up again with 1st place at the EPT Sanremo 2014 on her way to accuring $2.4 million in winnings.